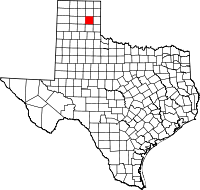 The Gray County, Texas, County Clerk (http://www.co.gray.tx.us/ips/cms/countyoffices/countyclerk.html) is responsible for maintaining Gray County original records of vital statistics, with copies maintained by the state (http://www.dshs.state.tx.us/vs/default.shtm). Records include birth and death certificates as well as marriage and divorce verifications. Certified copies are provided only to qualified applicants, but anyone can obtain a verification letter. A certified copy of a birth certificate costs $22.00; death certificates are $20.00 for the first copy and $3.00 for each additional copy; and marriage and divorce verifications each cost $20.00. Inquiries can be made online or by mail to the state.